When shopping for a car, consumers must take various factors into account. Though not everyone thinks about or remembers to research the vehicle and loan options they have, it is a good place to start. Cars.com recently posted an article on loan basics consumers should be aware of. Swapalease.com has also published its loan versus lease spreadsheet to help shoppers determine if it’s cheaper to finance, lease of take over an existing lease. The article mentions the different aspects of a negotiation that buyers should keep in mind such as the total amount financed, the interest rate, length of loan, and monthly car payment. Many times buyers are so focused on the bottom line and monthly payments they neglect to look at the other elements of what they’re agreeing to and signing. It is very important to be cognizant of everything you agree to as the buyer so that there are no surprises down the road. What’s more, the article mentions that consumers must read the fine print and not be swayed by ads they see, as there are restrictions that not everyone qualifies for. The article also advises buyers to get pre-approved for a loan, which can be used to leverage what the kind of offer the dealer makes. If you’re not looking forward to making payments for the next 72 to 84 months, assuming a short-term lease is a great option. Sellers who are looking to exit their lease early, with no penalties, can list their lease on Swapalease.com where an interested buyer will take it over. Usually there are no down payments required and you get to drive the latest cars with a short-term commitment. You upgrade your phone every few months, why not your vehicle? Trouble with Auto’s Subprime Bubble? There have been many reports talking about the danger of the automotive industry’s subprime bubble and what kind of effect it can have on the economy. However, it turns out that auto’s subprime bubble doesn’t compare to the one the housing market experienced before the Great Recession. In a recent article in The Guardian, experts compared the subprime bubble in the automotive industry to the housing bubble and found that, though the auto subprime bubble reached $20 billion in 2014, the housing subprime bubble reached $600 billion in 2006 alone. Though subprime lending continues to increase in the automotive industry, consumers need to be aware of what kind of loan terms they’re agreeing to when buying a new car. Most of the time, dealers are looking to make a sale and won’t explain the specifics of the loan while consumers are focused on monthly payments that they won’t take a better look at loan terms and length. However, consumers should educate themselves and not be pressured into singing on the dotted line until they understand the details of their car loan. What’s more, purchasing a car isn’t in everyone’s best interest. A lot of the times buyers can save more money over time by taking over the remainder of a lease. Taking over a lease helps both sellers and buyers. Sellers can exit their lease before it’s due and not have to pay any fees for breaking their lease and buyers take over a shorter-term commitment with a low monthly price. For those looking to get a good deal, assuming a lease is a nice way to drive the latest models without breaking the bank. It’s the only option that gives you the best of both worlds. 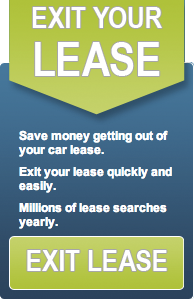 Next time you think of driving something new, weigh your options and really consider taking over an existing lease. Owning a car is a dream that many can relate to. Usually owning a car is one of the first big decisions we make as we enter into the adult world. However, that dream has been harder and harder to achieve in the years since the Great Recession. There have been many reports recently highlighting the fact that the average auto loan has increased. A CNBC article brought to attention the fact that most auto loans now are 73 to 84 months. Though sales of new vehicles have increased, so has the average loan length. In a previous post, we said that the longer the loan, the more consumers will pay in interest. What’s more, as cars are lasting longer, the wear and tear the car experiences as time goes can mean bad news for your budget. Why limit yourself to driving just one make and model for the next five or six years when you can drive a few different makes and models during that same time. Swapalease.com helps drivers do that. As the largest online lease transfer online marketplace, they help drivers who no longer want to be in their lease, exit it early. For buyers, taking over a lease might be just the kind of commitment to take on. With no down payment required most of the time, buyers can take over the remainder of a lease, saving them money and time. Don’t restrain yourself to driving the same vehicle for the next five years when you can drive the latest models simply by taking over the remainder of a lease.